Snödroppar (snow drops), the first sign of spring. We are mid-spring in southern Sweden. I can’t speak for the folks farther north, but I assume they are 3-8 weeks behind us depending on their latitude. 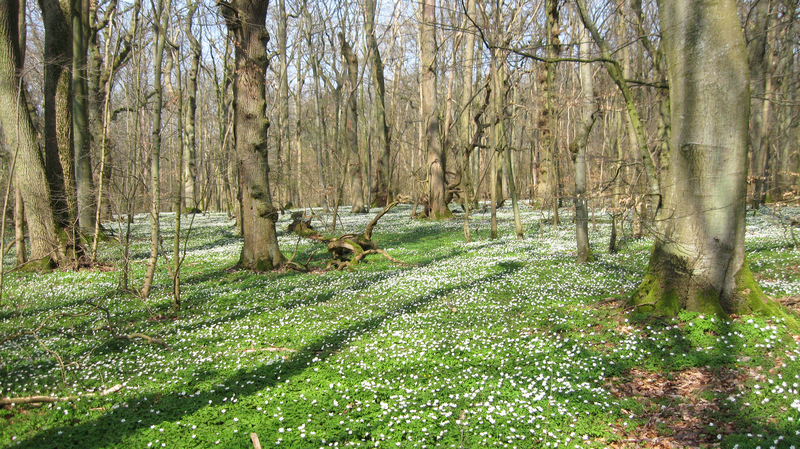 Spring in Skåne (SKOH-nuh), the southernmost region of Sweden, begins as early as late February when the first snow drops (pictured above) begin to appear and continues until the brilliantly yellow raps fields bloom in May. 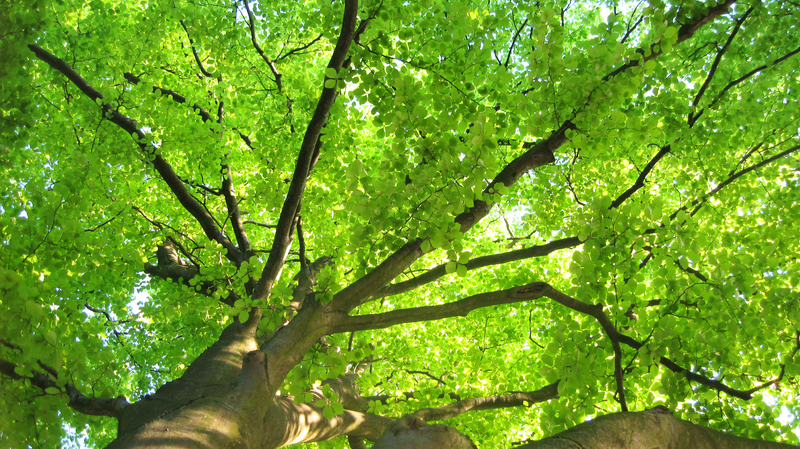 Spring here can be gorgeous, sunny, and warm, or cold, wet, and gray. 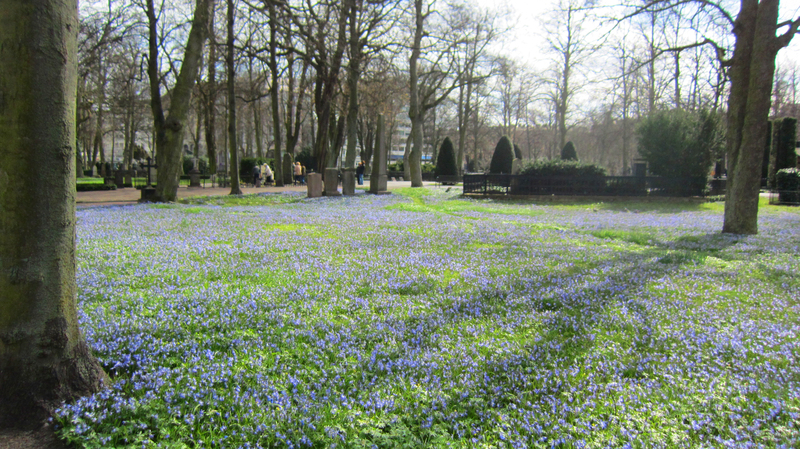 My first spring in Sweden was glorious and the expansive stretches of spring flowers made a big impression on me. I went back through my photos over the last 4 years to share my take on the highlights of spring in Skåne. 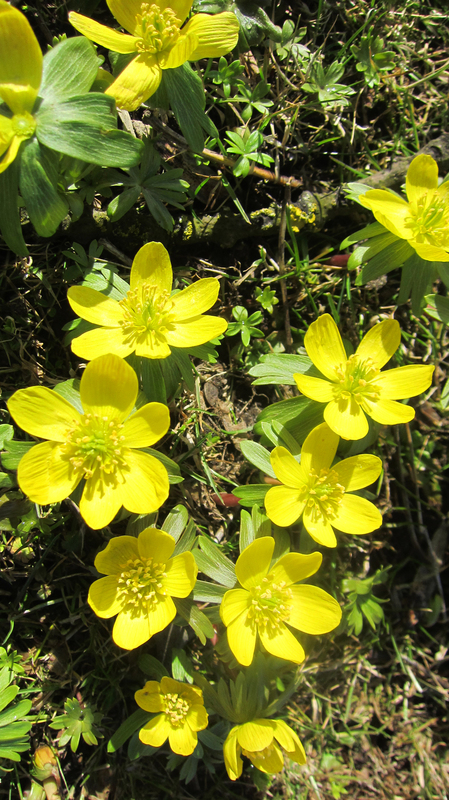 Vintergäck (winter aconite) quickly follow the snow drops. 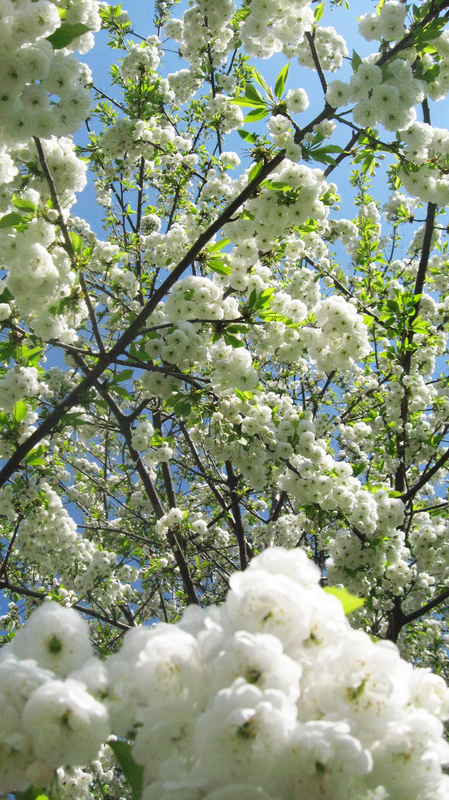 The arrival of various flowers and greenery signal the progression of spring as well as the return of the song birds. With the days getting longer and longer their singing begins very early in the morning, around 4:30am in early spring and even earlier as the days get longer. The koltrast, or common blackbird has one of the most beautiful songs and we are lucky to have one that nests near our place (admittedly sometimes it doesn’t feel so lucky when you can’t get back to sleep at 3am because of singing birds). 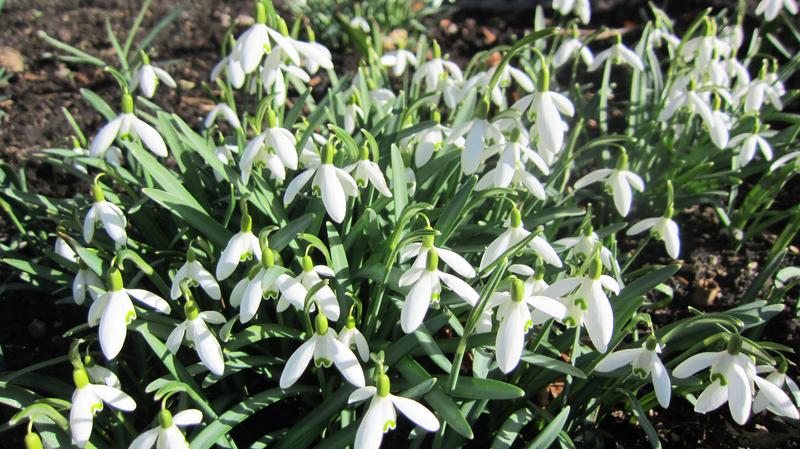 Once the snow drops have broken through, the vintergäck (VIN-tur-yeck) soon follow. 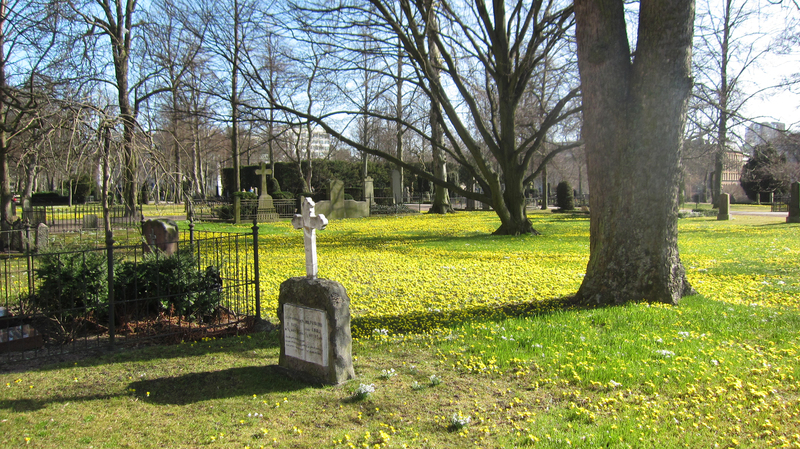 There is a historic cemetery in downtown Malmö next to Gustav Adolfs Torg and it is one of the best places to see impressive carpets of gold and later blue as the season progresses. 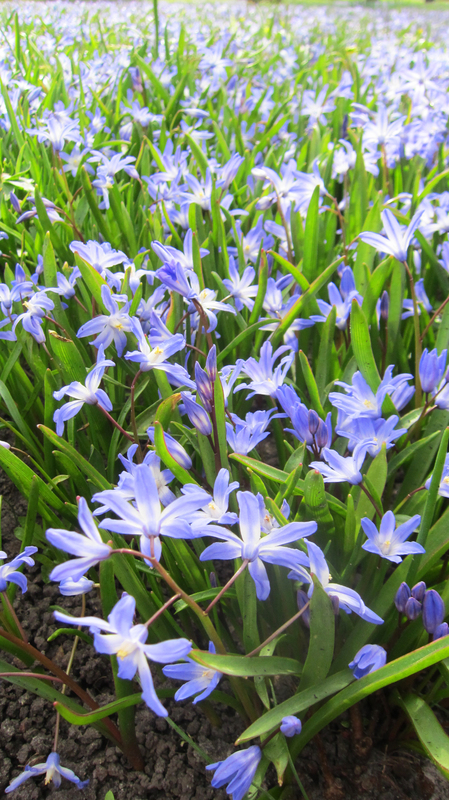 Rysk blåstjärna literally translates to Russian blue stars, but the English name is Siberian squill. 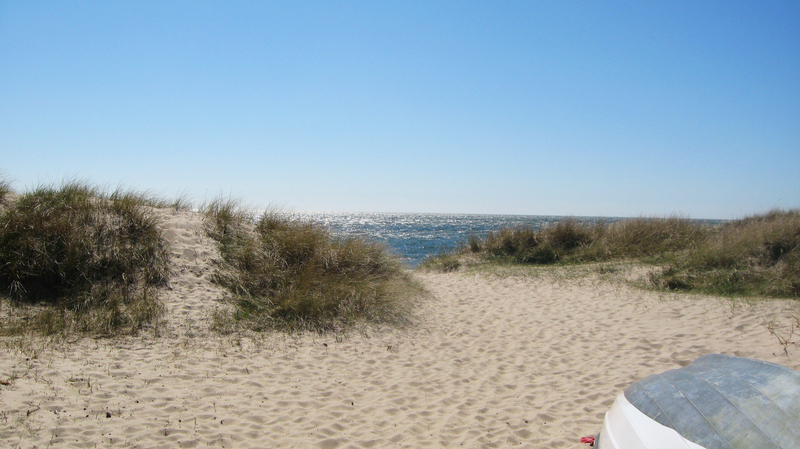 The Baltic beaches are cold, clear, and deserted, but gorgeous. 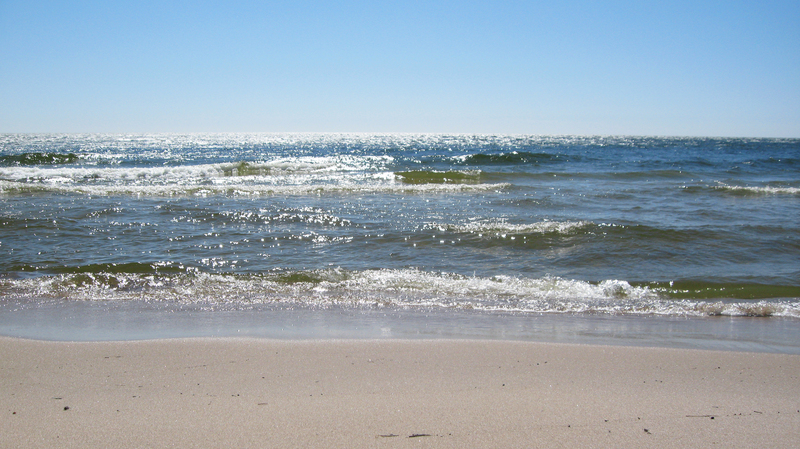 Baltic seashore near Ystad. 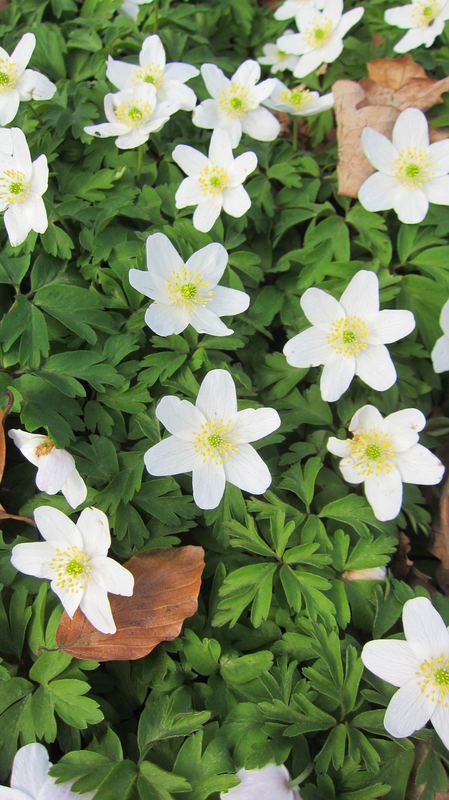 A spring event I especially look forward to is the blooming of the vitsippor (wood anemones). Everyone in my husband’s family seems to be particularly excited about their arrival and make an effort to go into the forest and pick some. There is a spectacular display of them in the Dalby Woods every year around mid-April. The floor of the woodlands is a literal carpet of white with a sprinkling of yellow and purple. 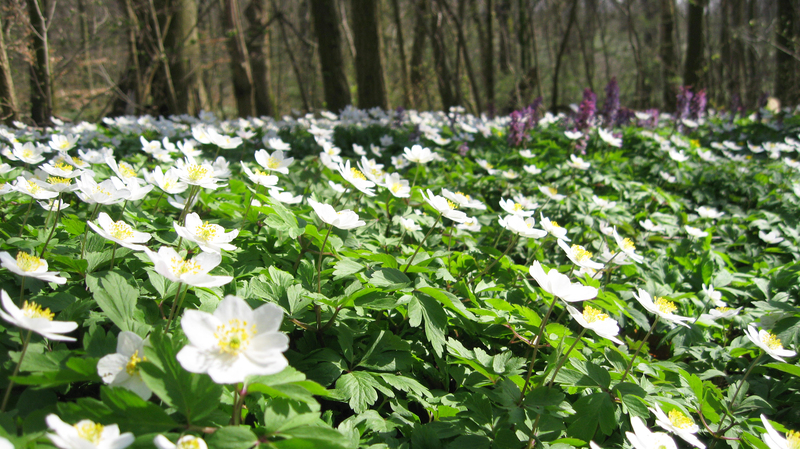 A mid-April carpet of vitsippor (wood anemones) in the Dalby Woods. Blåsippor in the Dalby Woods. The English name for them is liver leaf. Seriously. Blåsippor (BLOH-sip-pohr) are much less common than vitsippor, but we found some one year in the Dalby Woods. Their color is gorgeous. I cannot figure out how the English name for them can truly be liver leaf. How disappointing. That aside, there is a lovely Swedish children’s song about blåsippor and a very nice version of it is included on the Barnkammarboken den Silvriga album I recommended in a previous post. 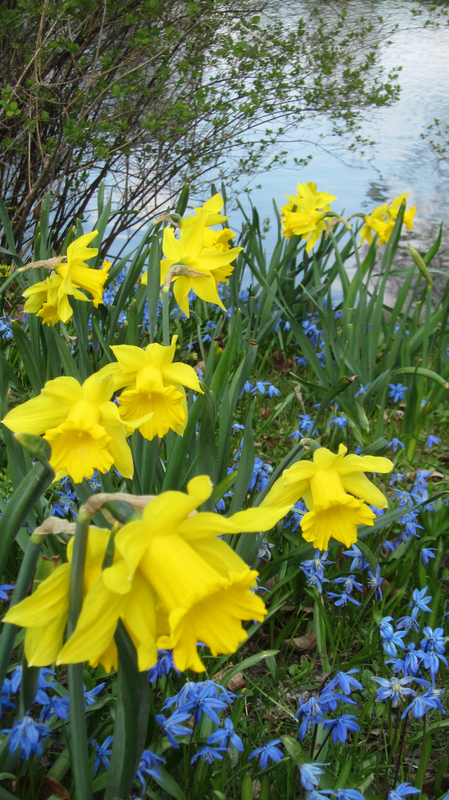 Although daffodils are known as påskliljor (Easter lilies) they tend not to make an appearance (other than in floral shops) in time for Easter unless it falls very late in the calendar and there is a warm spring. They have a strong association with spring in Sweden and often start blooming in April, soon to be followed by the blossoming trees. 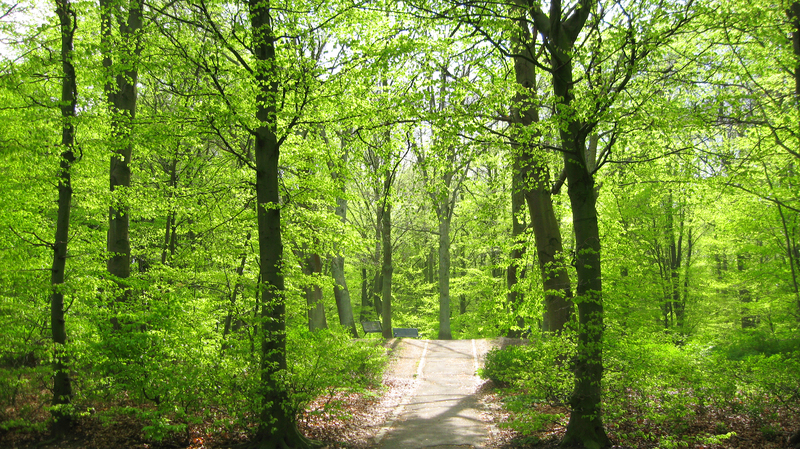 At the end of April, beginning of May, the beech trees begin to show their shockingly spring green leaves. When the sun filters through them it’s truly spectacular. Beech trees in Pildammsparken, Malmö. The signal of the coming summer is the blooming of the raps fields (rapeseed) in mid-May. Golden fields cover the Skanian landscape contrasting beautifully with the blue sky, white country churches, and rustic red-painted barns. Raps fields blooming mid-May in Skåne. Regardless of whether it’s wet and cold or sunny and warm, spring and its vibrant colors are so welcome after the long, dark days of winter. It builds anticipation for the Swedish strawberry season and Midsommar celebration of the longest day of the year in June. I don’t know if it’s my stage in life, or my new geographic location, but I don’t recall ever being so enchanted by spring as I have been in Sweden. It’s always been my favorite season, but I especially enjoy each stage of spring in Skåne from the return of the song birds to the gold of the raps fields. 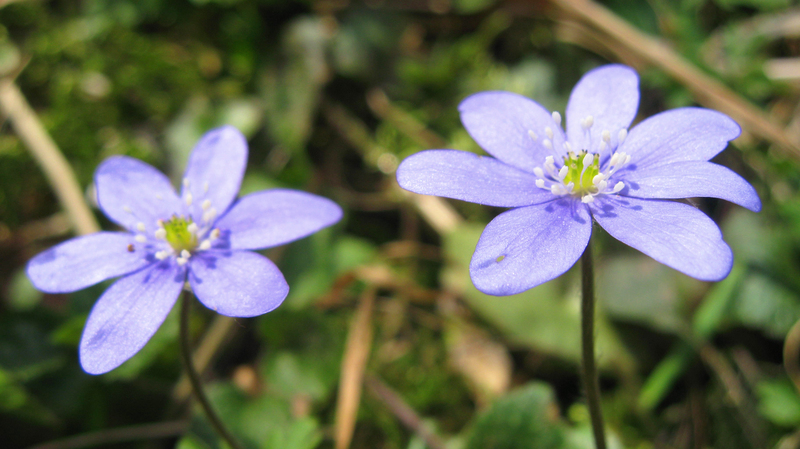 I hope you enjoyed a glimpse of spring in Skåne and are having a wonderful season wherever you are. Your photos are beautiful. I love wildflowers, and I don’t think there is anyplace like Sweden for wildflowers! When we’re in Dalarna around midsummer, the lupine are always glorious. Thank you so much. And I couldn’t agree more about the beauty of nature waking after winter. I think that’s why spring has always been my favorite season. I thoroughly enjoy your posts! I’m in California, and we experienced 88 degree weather today. Quite a contrast to yours, I am sure. Our poppies are blooming, and we are beyond blossoms on the trees. Thank you for sharing your life and experiences. I’m so glad you are finding the site interesting and appreciate that you took the time to comment. It’s rare that we get up to 88 degrees here, which is just fine with me. But I do miss CA. I have some family in the LA area and many friends in the bay area so it makes my heart ache a little bit to think about the people and places that are so far away. Enjoy the poppies and the warm weather! I’m glad this post brought back some nice memories for you. The vitsippor at Dalby are really extraordinary. I have soooo many pictures from there, with and without my kids in them! Spectacular.